St. 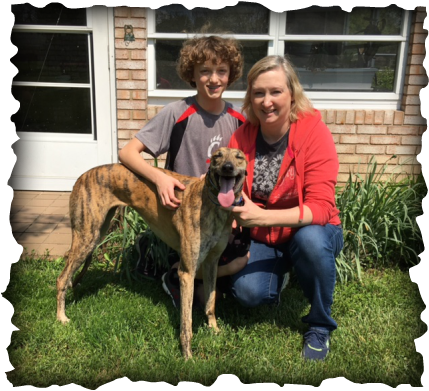 Alarming Lady has started her new life with Ethan and Jane in West Chester. Lady walked into the house with three cats and was perfectly happy. Their sweet gray cat went right up to Lady and started rubbing on her, what a nice greeting. They are keeping her name Lady since she knows it so well. Lady has a huge yard and will get lots of attention from Ethan and Jane. She is a very LUCKY LADY! We hope to see a lot of this family, they are even talking about fostering for us in the future!